Oh sweet fancy Moses, this needs to be mine. 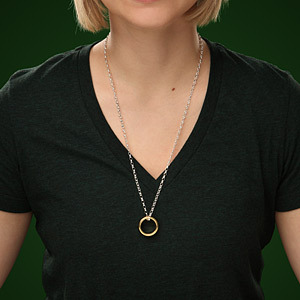 It’s the One Ring. Don’t try and convince me it’s just a Gold-Plated Tungsten Carbide One Ring, replica. No not that ever. 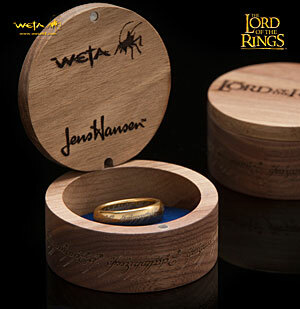 Ignore the fact that this one ring, is available in 5 sizes… and allows you the option of buying a Frodo inspired chain, no it isn’t mithril, but it cool be. Don’t let Sauron know that it’s located in my house~!